The entertainment world has become the biggest market and YouTube comes at the very beginning when we talk about the virtual entertainment world. For billions of people, YouTube has become a source of entertainment only but there are some people for whom YouTube has been a life changing platform. Caspar Richard George Lee, often know as Caspar Lee, is one name of virtual entertainment who has been able to gain millions of viewers and followers from his YouTube channel at the early age. Caspar Lee introduces himself as Vlogger, YouTube personality, and actor. 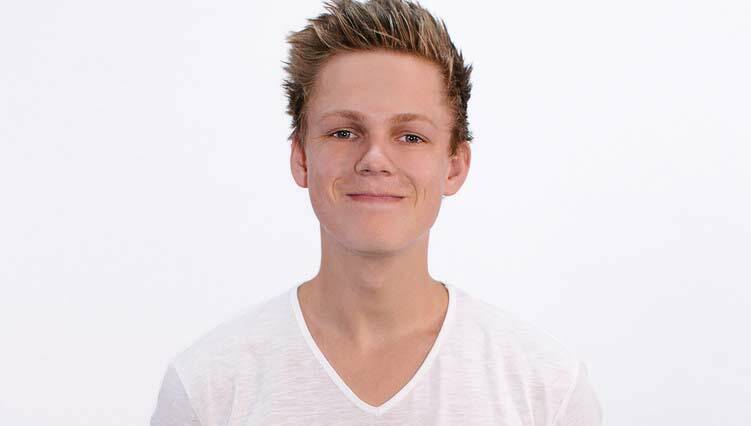 Born in London, England on April 24, 1994, Caspar Lee belongs to South African British nationality. Lee was raised in Knysna South Africa, where he completed his high school education from one of the local school Crawford College La Lucia. Lee appeared on YouTube after he started his YouTube channel under his own name in 2011.He currently serves Gleam Futures talent agency as a member. Lee also helped in raising money for Comic relief through his YouTube Boyband and he was featured in The Guardian for his contribution in raising fund. Yahoo! News named him as one of “12 Web-savvy entrepreneurs to watch” in 2013. In 2014, he made his appearance in The Crew, the style Haul series, along with other YouTubers. Similarly, he made his appearance Web Therapy’s episode with Lisa Kudrow. Coming to this far, Caspar Lee’s YouTube channel has more than 5 million subscribers and over 430million viewers. His channel is 165th most subscribed channel on YouTube. He has another channel named ‘Morecaspar’ which has more than 1 million subscribers and 52 million viewers. He is considered as an influential personality in social media and has over 2.3 million followers on twitter. Similarly, there are 2.1 million people following him on Instagram. Besides his career as YouTuber and Vloger, Caspar Lee has made an appearance in Spud 3 where he played the role of Garlic. Similarly, he has also made his appearance in the movie named The SpongeBob Movie: Sponge Out of Water. In Joe and Caspar Hit the Road, Caspar appeared along with another YouTuber fellow Joe Sugg in an eponymous travel documentary which was produced by Raucous Productions. In this documentary, they traveled around 100 miles. Casper Lee has also started an online business of clothing through his official website where he is selling Hoodies and T-Shirts. This young entrepreneur has been nominated for the 2015 Nickelodeon Kid’sChoice Awards. Moving to his personal life, Caspar Lee was diagnosed with a neurological disorder called Tourette Syndrome. Despite this disorder, he has been able to achieve success in his life which is inspirational for all. His sister Theodora followed his footsteps and she currently manages her own self-titled YouTube channel. As of today, there has been no any information about Lee’s relationship, dating, and affairs. He currently resides in an apartment in London with another YouTuber Joe Sugg. Lee stands tall with a height of 6’2’’. As a successful blogger, he has made net worth of $2million (2016).